Good morning! 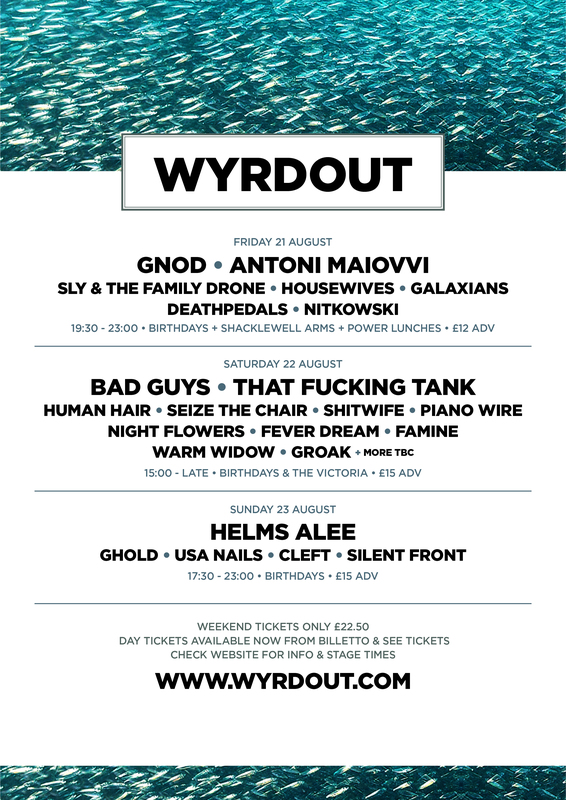 Only one month to go until The first WYRDOUT and we are very pleased to announce our day splits, and also that GNOD will now be joining us on Friday night! We are currently piecing together the stage times for WYRDOUT and will be posting here a bit later on! 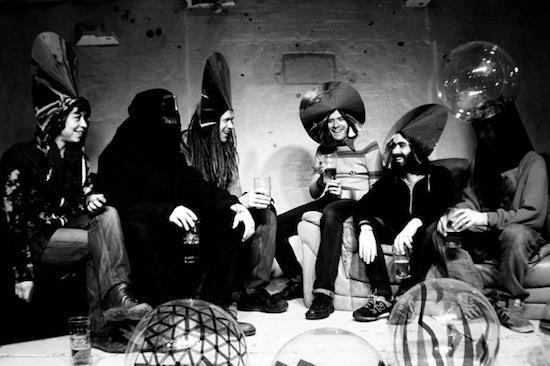 Gnod are based around Salford’s Islington Mill, where various members live, rehearse and record. More than 30 musicians have passed through the collective since they started in 2007 and early jam sessions would involve up to 16. The current incarnation includes longstanding members Chris Haslam and Paddy Shine with Marlene Ribeiro, Alex Macarte and Andy Blundell. Since starting out Gnod have put out 20-plus label releases and CD-Rs.